The New Year is a time of change. We make resolutions to inspire us to live fuller, more meaningful lives. Whether we are in recovery or needing to change the way we respond to life, becoming aware of our resentments and our shadow side can transform our lives. Resentments are not just a problem for addicts but for all people. They can rob us of our happiness by returning us time and again to past unresolved pain. 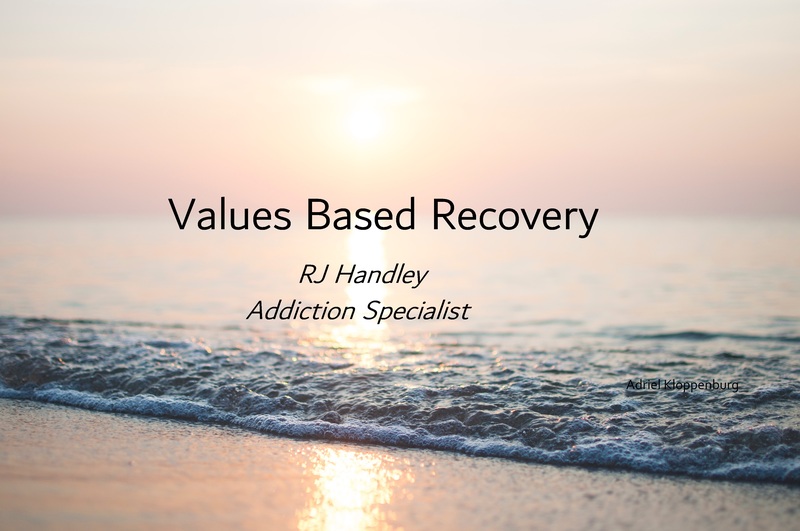 The AA 4th Step—“made a searching and fearless moral inventory of ourselves”—is a time-honored means of clearing away the debris of our past for both addicts and non-addicts alike. For those of us who are seeking even greater transformation, combining the 4th Step with shadow work can bring tremendous healing and wholeness to our lives. Not only are we doing some much needed psychological housecleaning in the 4th Step, but also uniting parts of ourselves together through shadow work that have been fragmented since childhood. Let’s begin with the 4th Step—known as the housecleaning step—and then move into shadow work. If we have the honesty that AA Co-founder Bill W. modeled for us, there is a lot of house cleaning each of us must do. This is true in early recovery and beyond. In fact, we probably will never finish cleaning house since life has a way of pointing out new rooms we need to clean. When we begin our spiritual house cleaning, we do so by trusting God. Steps 1-3 created that trust. We came to believe that only God’s guidance could help us sort through the things in our lives that were worth keeping and the things that needed to be thrown out. And, if you are like me, that meant most things had to go. The heaviest lift was the obsession with our selves. This self-centeredness kept us hypervigilant to other’s wrongdoings but blind to our own. We held onto these like they were sacred. They festered into resentments that filled us full of infection. Daily, someone in our life would step on one of our infected toes and our minds became filled with words and images from past imagined injustices we suffered. These became our personal stories. And the tighter we clung to them, the deeper we plunged into our addictive behaviors. What Bill W. called our “number one offender,” these resentments nearly killed us. Because of this, they create an urgency for us to begin our 4th Step house cleaning. Soon, many of us will collapse in tears, so overwhelmed by the realization that we have been the creators of our own misery. As we sift through the shambles of our house, we discover the “hundred forms of fear, self-delusion, self-seeking, and self-pity” that caused us to “to step on the toes of others” and to suffer their retaliation” (BB, 62). Tragically, we had been trapped in the delusion that our thoughts, beliefs, and opinions were sane and rational. And we had continually justified our version of reality despite the suffering it caused us and others. The fact that we were surprised when others reacted harshly toward us only reveals how dysfunctional our house had become. But our cleaning is not yet done. There exists in the dark corners of our inner basements things we have sensed and always feared. They are the boxes that contain all the qualities and traits that we dislike and have disowned in ourselves. These are elements that make up what psychologists call the shadow. And it takes tremendous courage to face what we have so long pushed away into the cellar of our unconscious minds. A thorough 4th Step leaves us with an incredible feeling of accomplishment. It gives us the confidence to continue our house cleaning. With self-compassion, we take the 5th Step by admitting to ourselves, to God, and to all we have harmed. The power of this step is that in admitting these flaws to others we make a verbal commitment to do the hard work to change. In the 6th Step, we recognize that the only think worse than our character defects was defending them. New light has dawned, and we see that they were things that we had done, but they are not who we are. With that separation, we begin to loosen our grasp on these defects. We have made ourselves ready for Step 7. Here we ask God to help us do what we could never do before: to put down these self-destructive traits so we can open the door to freedom. The miracle has happened. We have cleared the clutter and chaos from our house. For the first time in our lives, we can see with clarity who we truly are. This new found vision has brought us to Step 8 and has allowed us to clearly see who we have harmed. We make the list, and we are now ready for the 9th Step. Through making amends to the people we have harmed, our house is now clean of past debris. A giant weight has been lifted. And now, through Steps 10-12, called the maintenance steps, we keep our house picked up and clean of what formally caused us so much suffering. The amazing power of the 12 Steps has transformed us. Each step has empowered us to move from the fear-based operating system of the ego to the love-based operating system of our Higher Power. We have given up our selfish obsession with being the center of the universe. And with it, our frantic desire for control and power that had given us neither and had only made us best friends to loneliness. As we shed this toxic skin, we become more sensitive—more conscious—of the divinity within ourselves and in others; and we become more finely attuned to divinity’s voice that now inspires our thoughts, words, and actions. Now, too, we find peace and deep comfort in the orderliness and sparkle of our newly cleaned house. We embody a vulnerability and a desire for connection that leaves the front door of our house unlocked to those who are now delighted to enter. Sometimes a simple question can change you. In answering it, my life was transformed. It was like seeing my world with a new pair of glasses. It forced me to stare unblinkingly at the suffering my own diseased thinking had caused me and all those involved in my life. With that insight, I was able to rebuild my life, not from my own blueprint but from the one my Higher Power drafted for my life. This rebuilt engine has powered me through the best years of my life. Just recently I celebrated 10 years of sobriety thanks to God and AA. As I cast my mind back to the first few months of my sobriety, images appear that are as clear as yesterday. One of those images involved the step work my sponsor guided me through. My 4th Step was fraught with illusion, but I still see clearly my sponsor and me sitting in his apartment going over my 4th Step Inventory sheet. I had no problem coming up with people I resented. I came up with six people and many situations that had caused me resentment. Sponsor: You did a good job filling out all the columns of the sheet. It’s real thorough. All except for the last column. There’s nothing written for any of these people. RJ: You mean the column about “Where Was I to Blame”? RJ: A stock form doesn’t work for everybody. That column doesn’t apply for me. RJ: Because these are the people who pissed ME off. Why should I blame myself for their bad behavior? Sponsor: You have here that you resent your boss because you think she is incompetent? Sponsor: Did you talk to her about it? RJ: No, I didn’t think I should have to. I did talk about her to my colleagues who I trusted. Sponsor: So you bad-mouthed her behind her back? RJ: Well, I guess. Yeah. Sponsor: Could it be that one or two of them told her what you said? Sponsor: If you didn’t like the way she led, why didn’t you just find another job? Sponsor: Yeah, maybe you would have found a job with a boss you could get along with. I was struck silent. New light dawned. Bill W. talks about the insanity of our thinking when we were in our cups. I sat dumbfounded in my chair. I had been miserable for three years working under that woman. Why the hell didn’t I think of that solution? I could have just applied for another job! It would have been that easy. Instead, I remained in that job suffering and causing my colleagues to suffer because of my own issues with my boss. Although this would seem to be a minor revelation to non-addicts, it was like the heavens opened and God spoke to me a colossal truth. New light was cast into the corners of my life. I thanked my sponsor for this revelation and set off determined to re-examine my 4th Step Inventory and to find the part I played in my own misery for each resentment. That moment changed my life. In fact, it is one of the most important shifts I have made in my 10 years of sobriety. It rewired my brain and changed the way I respond to life. It is incredibly liberating to take responsibility, even if my part is only 1 percent, for the people and events in my life that have caused me to feel resentment. As long as I blame others for the wrongs I perceive they have done to me, I do not have to change. But to grow, I must change. The snake that cannot shed its skin will die. And I will die if I do not follow this Big Book truth: that any disturbance I feel is because there is something wrong with me—something that needs to change. Thank God for this lesson!